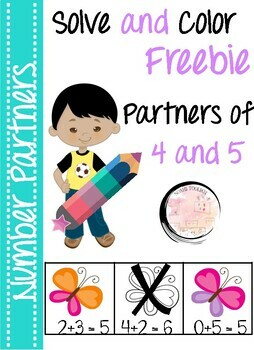 Number Partner Solve and Color Freebie! 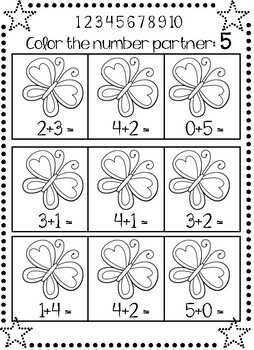 Number partners are Necessity when learning how to add, why not make it fun and engaging. 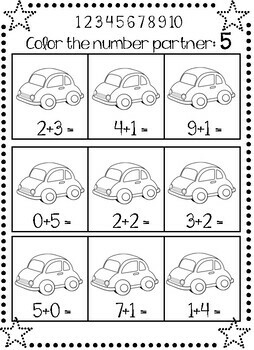 This Freebie includes six pages of addition problems. Students Solve, Color, and repeat. 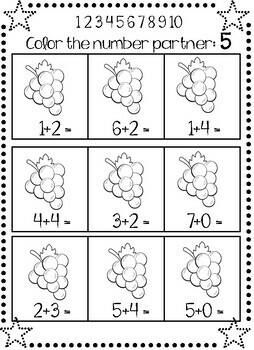 The main purpose is to help students recognize the pattern of each group of number partners. Can be made into a booklet or can be passed out as individual pages. Don't forget to Follow and give Feedback!